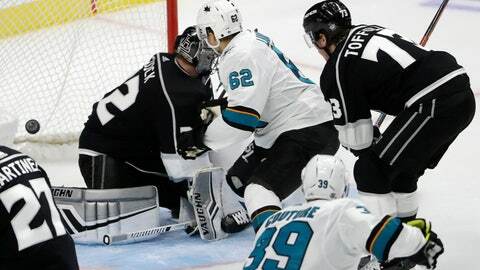 EL SEGUNDO, Calif. (AP) — Los Angeles Kings goalie Jonathan Quick was placed on injured reserve Sunday after sustaining a lower-body injury in practice the previous day. Jack Campbell will start against the Detroit Red Wings on Sunday night. Campbell went 2-0-2 with a 2.48 goals-against average and .924 save percentage in four starts for Los Angeles last season. Stevens said Quick would undergo further evaluation to determine the extent of the injury. The Kings recalled NHL veteran Peter Budaj from their American Hockey League affiliate prior to Sunday’s game.